Orijen Puppy food, manufactured in Alberta Canada uses only regionally available ingredients. The parent company, Champion Petfoods also makes the Acana Brand foods including Acana Puppy and Junior using the same ingredients but in different amounts. The company calls their foods BIOLOGICALLY APPROPRIATE™ and defines this term as a class of foods the mirror the meat and protein rich foods that dogs and cats are biologically adapted to eat. With a high percentage of protein to carbohydrates, this food will appeal to anyone looking for a grain free puppy food. The carbohydrates found in this food include red and green lentils and chickpeas, two low glycemic carbohydrates. Low glycemic carbohydrates reduce blood glucose spikes and prevent increased fat storage. This is especially important if your dog breed is prone towards obesity or diabetes. The big difference between the Champion Petfoods brands, Orijen and Acana is cost and the percentages of protein and fat. Orijen Foods are higher in protein and fat and will cost more at the store. Acana is slightly less rich, having a little lower ratio of protein to carbohydrates and is usually less expensive. 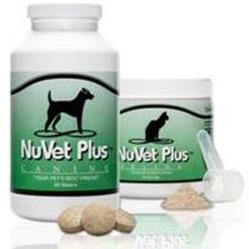 Both types of foods are formulated to meet the nutritional needs of all life stages. Claims such as this mean that this puppy food could be feed throughout the life of the dog. Likewise, any of the adult Orijen foods would also be appropriate for puppies, pregnant dams, and weaning puppies. Beyond those differences, both foods score extremely well using our matrix. “A short while ago I inquired about the Royal Canin Mini Puppy food my dog Albus was started on. You rated it a Grade B food and suggested I stick with it until my puppy is a little older. As training treats, we have been giving Albus Orijen Puppy food, and he seems to have acquired a taste for it. In fact, he doesn't want to eat the Royal Canin unless I moisten it a bit, and even then it's a struggle to get him to eat. Sylvia, I believe you found a winner in this food. Please read on. Based on Sarah Irick’s scale for evaluating dog foods, Orijen Puppy food got a very impressive score. A look at the ingredients does not tell the entire story but in this case, the list of ingredients is very impressive. Many items included in this product and all of the blends produced by the Champion Pet Food Company are unique and not found in most dog foods. The company boasts that their ingredients are of human grade quality, not an easy claim to make in the pet food industry. These are the types of greens and roots that a dog might nibble on if given the opportunity. Many dog foods include an array of ingredients that help the digestive product. You will see them listed as fiber, fillers, or ingredients with empty calories. Champion Petfoods include these digestive aids by utilizing natural ingredients that dogs may seek on their own if given the opportunity. Chicory and Licorice Root provide fiber and improve digestion. They also reduce insulin levels. Angelica root and fenugreek provide the antioxidants and also support digestion. Both of these additions also protect kidney function. Dandelion root and chamomile flowers are two more ingredients that help with digestion. Both provide essential oils that can help heal wounds and infections. Peppermint and sweet funnel also calm the stomach by improving the flow of bile and gastric juices. Food is only as good as it is able to be used by the body. These ingredients facility the uptake of nutrients so they can be used and not just passed through the digestive tract. Marigold and rosemary are both rich in antioxidants and reduce blood sugar fluctuations. Brown kelp provides a wonderful array of minerals and essential elements. The percentage of protein in a given food is not the actual amount of protein found in that food. A calculation needs to be done to change it to a dry matter basis. Dry matter is what is left over after the moisture has been removed. This food contains at least 42.2% protein. Based on the criteria used to evaluate this food, I can unequitable recommend it as a very high quality puppy food. The down side to this food is that it is not available worldwide. This brand is available in many countries including Canada, the United States and United Kingdom among others. It is also available from specialty internet companies including Amazon. Would I use Orijen Puppy Food? Yes and No. I have tried this food on my dogs and it passed their taste test. It is not, however, easily available where I am located and the cost is quite high. Used as a training treat may be all that I can manage at this time. As of this writing, this food costs approximately $5.25 per pound USD which is quite high for a dog food. The other downside to using a very high quality premium food is that you must introduce it slowly. Dogs that are eating less rich foods may have some major GI problems for a while. Loose stools, frequent bowel movements, gas and occasional vomiting have been reported when switching foods. If cost and availability were no problem, I would definitely switch my dogs to this premium brand! No one food is perfect for every dog. While this is a high quality food for puppies, only the owner can be the ultimate judge. You will know whether a food is right for your dog if he loves to eat it, has regular stools of normal consistency, enjoys health and vigor and has a shiny coat and healthy skin. If you think you're dog would enjoy Orijen Puppy Food, click on the link or picture to the left to purchase the item directly from Amazon. This site gets a tiny commission for all products purchased directly from Small Dog Place. This helps keep the site up and growing. The analysis of this and other dog food review pages represent the opinions of the author. We must rely on the information obtained by the dog food manufacture on their website if we are unable to obtain the actual product. We offer the information in good faith as a way to provide information to the reader. 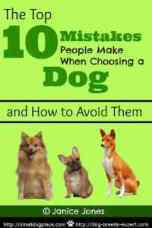 It is up to each reader to decide if the food is right for their dog. We do not endorse or suggest any brand as being right for all dogs. Have a dog food you'd like us to review? Be sure to provide the full name of the food, your dog's name and breed and the dog's approximate age. Any additional information will help us do a more thorough review.